Robots don’t buy cars, go on holidays or eat in expensive restaurants. They don’t go to the game and they’ve no need for kitchen gadgets or a new laptop. Yet half of all online display advertising is never seen by a human being. It’s no wonder advertisers are losing faith in the ad tech industry. A report produced by Ernst & Young for the Interactive Advertising Board has estimated fake traffic cost US advertisers US$4.8 billion in 2015. Closer to home, click fraud is a major issue in Asia with Hong Kong topping a global index of offending countries produced by Apsalar. India, Indonesia, Malaysia, Vietnam and Singapore were also featured in the top 10 list. Everybody has a horror story. In its research into dubious industry practices Bloomberg Business found five seconds of muffled background noise on a black screen that had racked up 1.5 billion views. That’s not exactly the sort of content you’d expect to go viral. Although this is an extreme example, there are perverse incentives all along the ad tech supply chain that encourage a culture of inflated claims and the turning of blind eyes. There’s plenty of money to be made from click volumes without any responsibility to guarantee real eyeballs. Buyers are increasingly sceptical and the ad tech industry is growing concerned about the integrity of its multibillion‐dollar business model. • Whitelists and blacklists – Offering guarantees before a campaign starts that an ad will be served on certain trusted sites, but will avoid others, is a great place to start. A credible site covering a target industry gets a big tick but they’ll probably say no thank you to a Russian dating site. • Now prove it – Share data after the campaign to support your claims. Which sites were hit, how many impressions were served, what percentage were viewed and clicked? • Third‐party tracking – These little tags are the independent consultants of the ad tech industry. They’ll work out exactly where the ads ran, beefing up the credibility of your post‐campaign reporting. • Pre‐bid verification – These tools ensure your buyers are getting value by evaluating the pricing and reliability of different publishers. This guarantees an ad is viewed and charged at a competitive price. • Viewability sensors – Just because an ad is placed on the right site doesn’t mean it was viewable. This smart technology optimises for viewable placements in real time, which again helps reassure your buyers that they’re getting value from their spend. Ad tech companies require high network availability and reachability around the world and serious load time speeds because every millisecond increases the risk of missing an ad placement. Much of the data Dyn collects for performance management can also be used to detect and reduce ad fraud. This might be for routing anomalies including hijacks, misroutes and unavailability of routes in certain parts of the world. Supplying this information as a service to your buyers will increase transparency and help rebuild trust. • Geolocation – Tracking exactly where ads are served can be used as an indication of ad fraud. If an ad targeted at potential customers in Australia drives huge amounts of traffic in Hong Kong, you can flag this suspicious activity to your buyer. • IP attribution – This is a useful input when compiling an ad fraud scoring service. Taking a data-driven approach to establishing good and bad IP addresses will help your buyers increase the percentage of ads that are served to real people. • Traffic steering – Although this is primarily used to minimise latency when serving an ad, there’s also an opportunity to steer traffic away from fraudulent networks. Your buyers will be pleased to know their inventory is being kept away from Ukrainian networks that have armies of bots driving most of their traffic. The ad tech industry must self-regulate to restore credibility with buyers. Convincing brands and their buying agencies that you’re focused on cleaning up your network and delivering ads to real audiences will help you win more business. If you’re not willing to play by these rules of transparency, your buyers will find others ways to reach their intended audience. 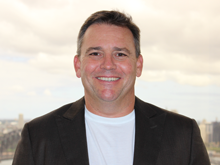 Martin Ryan, VP & Managing Director Asia Pacific at Dyn, a cloud-based Internet Performance company. Dyn helps companies monitor, control, and optimise online infrastructure for an exceptional end-user experience. The author is a 3rd party contributor to AdAsia and this article represents his views.